BP…formerly known as British Petroleum, has a disaster on their hands and it is not just the disaster caused by millions of gallons of crude oil spewing out in the Gulf of Mexico. They have a public relations disaster that is re-establishing the oil industry’s reputation as the sleaziest in a business world that is not known for its ethical choices. 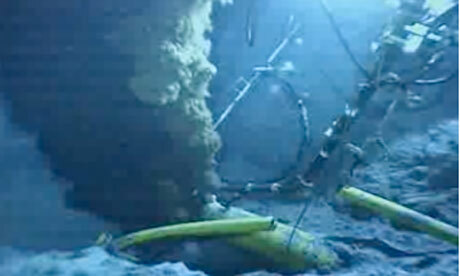 Among their biggest mistakes has been to minimize the estimates of how much oil is leaking into open water. It is obvious that at best BP executives are completely incompetent or at worst they have intentionally deceived the public. In either case, they confirm in the public’s mind that business is all about greed and that business ethics is an oxymoron. Unfortunately, business often fails to be good custodians of our society because for profit enterprise is inherently based on a motive of greed. 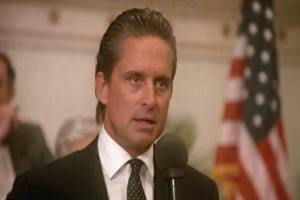 In the 1987 film, Wall Street, Gordon Gekko (performed by Michael Douglas), says, “Greed is good.” Gekko is merely pointing out that while greed is a selfish, dishonorable emotion, it is the fuel that drives business. The fact that business is riddled with unethical people is not new. When Rotary was born in 1905, Chicago business people were more like Gordon Gekko than like Paul Harris, the founding father of Rotary. Business was riddled with corruption and fraudulent practices. However, those that joined Rotary created an environment that rewarded honor in business. A Rotarian sought out his fellow Rotarians with which to do business. Each member knew that business transactions became personal when you had to sit down with the customer at the next club meeting. But Rotary didn’t formally commit to a philosophy of ethics until several years after the first club was chartered, and it wasn’t Paul Harris that led the charge. By 1912, Paul Harris had served as President of the International Association of Rotary Clubs for two years and had spent many long hours during the past seven years nurturing the birth and growth of Rotary into a major organization. As he passed the gavel to Glenn Mead, Mr. Harris stepped away from Rotary for what would be a 10-year hiatus. Had Rotary consisted of followers, the absence of a major figure like Paul Harris would have left the organization in dismay; however Rotary consists of business leaders and President Mead stepped up to the challenge and launched a new emphasis on establishing a Code of Ethics for Rotarians to follow. To consider any vocation worthy and as affording me distinct opportunity to serve society. To improve myself, increase my efficiency and enlarge my service, and by doing so attest my faith in the fundamental principle of Rotary, that he/she profits most who serves the best. To realize that I am a business man and ambitious to succeed; but that I am first an ethical man and wish no success that is not founded on the highest justice and morality. To hold that the exchange of my goods, my service and my ideas for profit is legitimate and ethical, provided that all parties in the exchange are benefited thereby. To use my best endeavors to elevate the standards of the vocation in which I am engaged, and so to conduct my affairs that others in my vocation may find it wise, profitable and conducive to happiness to emulate my example. To conduct my business in such a manner that I may give a perfect service equal to or even better than my competitor, and when in doubt to give added service beyond the strict measure of debt or obligation. To understand that one of the greatest assets of a professional or of a business man is his friends and that any advantage gained by reason of friendship is eminently ethical and proper. To hold that true friends demand nothing of one another and that any abuse of the confidence of friendship for profit is foreign to the spirit of Rotary, and in violation of its Code of Ethics. To consider no personal success legitimate or ethical which is secured by taking unfair advantage of certain opportunities in the social order that are absolutely denied others, nor will I take advantage of opportunities to achieve material success that others will not take because of the questionable morality involved. To be not more obligated to a brother Rotarian than I am to every other man in human society; because the genius of Rotary is not in its competition, but in its cooperation; for provincialism can never have a place in an institution like Rotary, and Rotarians assert that Human Rights are not confined to Rotary Clubs, but are as deep and as broad as the race itself; and for these high purposes does Rotary exist to educate all men and all institutions.